Last week saw the culmination of years of research by myself and colleagues working on the Glenmorangie Research Project on Early Medieval Scotland, in the publication of a new book on the period: Early Medieval Scotland: Individuals, Communities and Ideas. 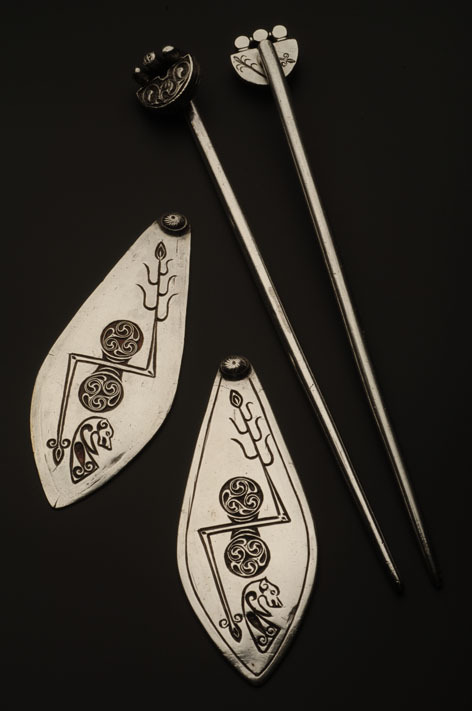 Early Medieval Scotland was a very vibrant and sophisticated place which produced some of the most exquisite objects in National Museums Scotland’s collections. 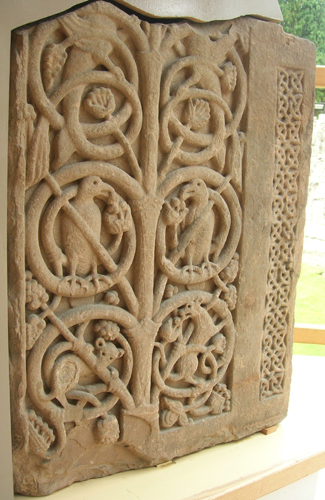 This is the time of the Picts, the Gaels, the Britons and the Anglo-Saxons and, arguably more than anywhere else in Briton, Scotland was a melting pot for numerous different ideas, techniques and styles. 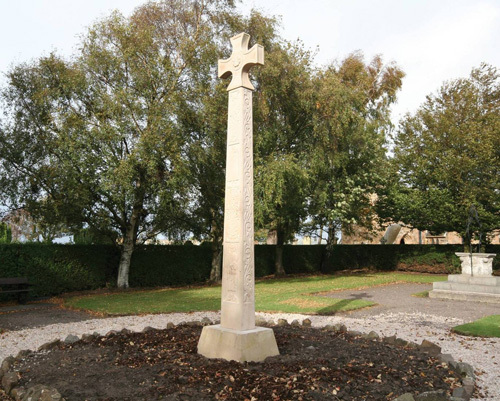 This fusion of ideas was helped in great measure by the big new idea of the time – the introduction of Christianity to Scotland. This period marks the end of pre-history, with the creation of the first written texts. But that doesn’t mean that archaeology doesn’t have its own stories to tell. Very few written documents survive, giving us only a partial and fragmented picture. Almost all were written outside of Scotland, meaning they can give us a one-sided picture. They are also limited in their interest – what they record and preserve for us tends to be focused on kings, battles and deaths. When writing our book, we wanted to take a fresh look at the period and let the archaeology speak for itself. Every object has a number of different stories to tell, depending on which questions are asked of it. 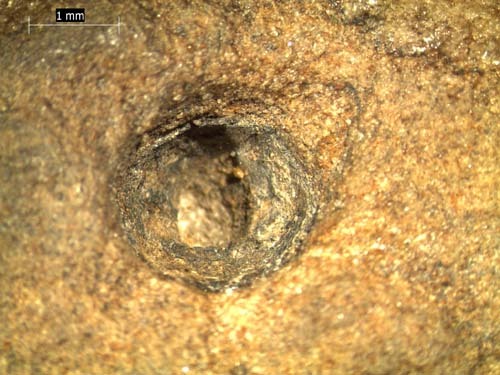 Because of this we decided to look at Early Medieval Scotland at three different scales: at an individual level first, to see what surviving objects could tell us about the people who made and used them. Drawings on a slate found at Inchmarnock, off the coast of Bute. 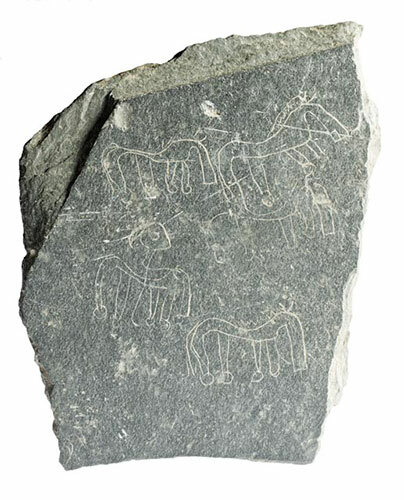 The object above illustrates this nicely: it’s a doodle of some horses scratched onto a slate at a site called Inchmarnock, off the coast of Bute. It was likely to have been made by children, perhaps in a bored moment during their monastic schooling. The next perspective looks at communities, thinking about the different groups of people that made up Early Medieval society. 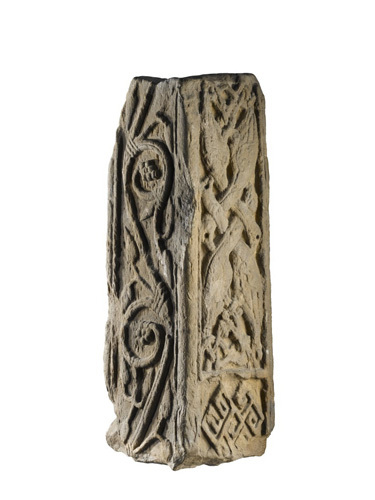 For instance, we look at Christian communities – because as far as we can tell, Christianity was the first religion to have formal and separate communities dedicated to it – and communities of craftspeople who created monuments of devotion like this piece of sculpture from Papil, Shetland (below). 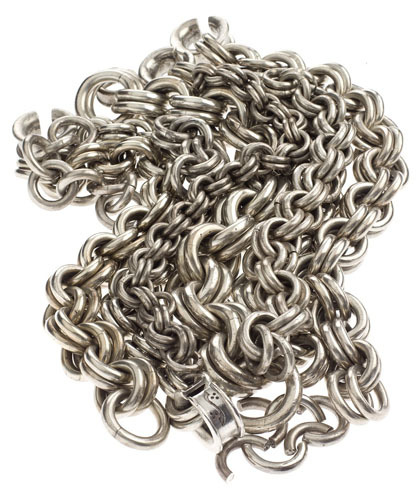 Finally, we examined the bigger ideas and ideologies, the things that bound society together, and the ways in which objects were used to create and symbolise these important concepts and relationships, here illustrated by the corpus of massive silver chains (below). Massive because they are made from solid silver and can weigh up to 3 kg each: clearly these are extremely powerful objects capable of communicating big messages. 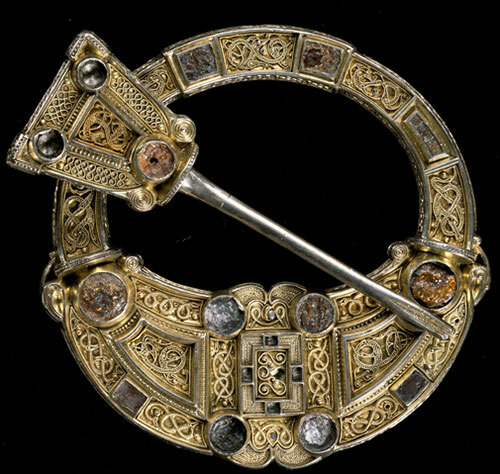 A few teasers of new research you can find in the book include the hidden symbolism and protective qualities of many elaborate gold and silver brooches, such as the stunning Hunterston brooch. 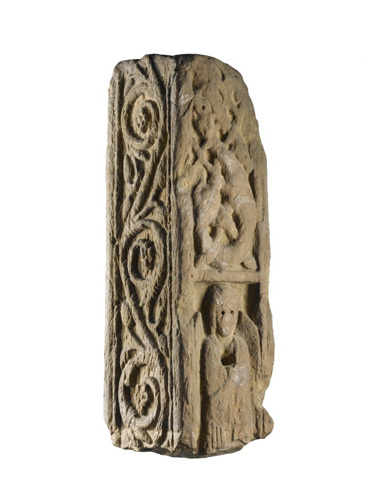 And find out why we think that a figure on the Hilton of Cadboll stone, long thought to have been a Pictish princess, may instead be one of the earliest depictions of Jesus from Scotland. After years of research and writing, it’s a joy to see the book come to life. 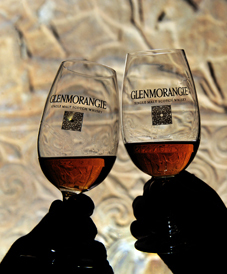 Its also a great opportunity to once again thank The Glenmorangie Company for their support over the last four years, without which our research just would not have been possible. Early Medieval Scotland: Individuals, Communities and Ideas by David Clarke, Alice Blackwell and Martin Goldberg is published by National Museums Scotland and can be purchased from the online shop. 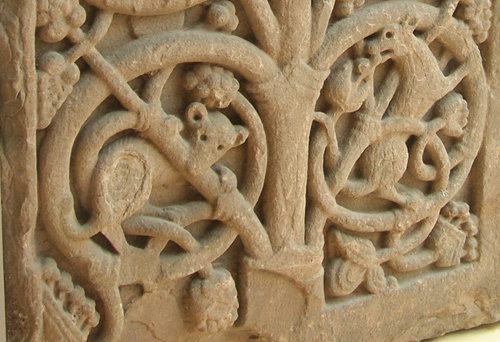 As part of the Glenmorangie Research Project on Early Medieval Scotland, we have invited a series of speakers to come to Edinburgh and deliver a prestigious annual evening lecture at the National Museum of Scotland. The rationale behind the Glenmorangie Annual Lecture series is to explore the points of contact between the disciplines of archaeology and contemporary art. 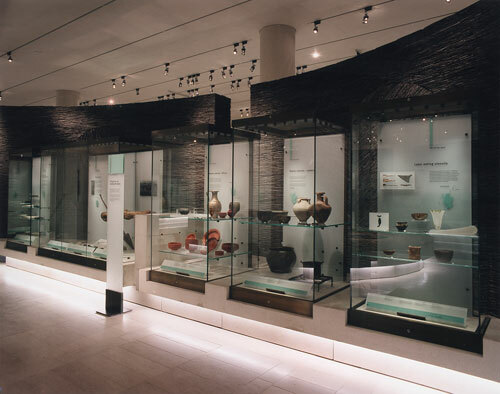 The Museum has a strong history of exploring these connections: the archaeology gallery, Early People, which opened in 1998, is home to two major collections of contemporary art. 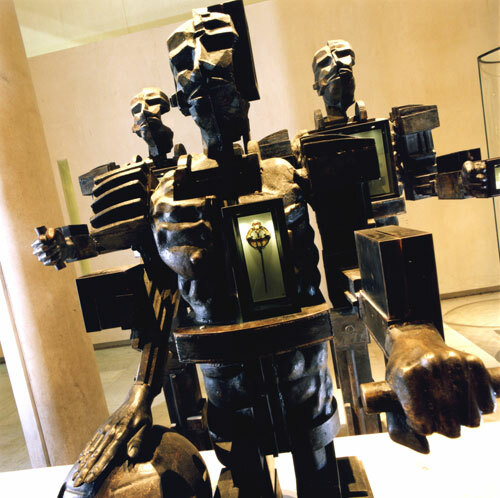 The first is a series of imposing bronzes by Sir Eduardo Paolozzi in the form of abstract – almost robotic – figures that form an avenue leading into the gallery. 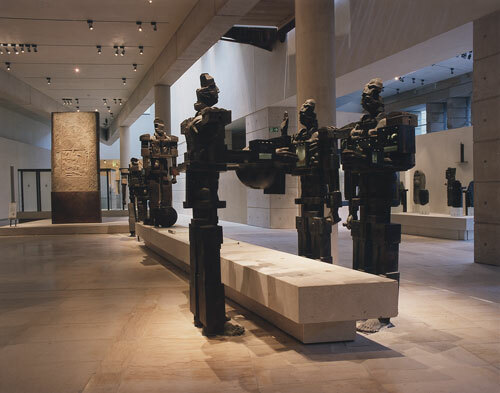 Paolozzi sculptures leading into the Early People gallery. Their presence emphasises that people lie behind everything we do as a museum, behind all the objects in our collections, but that despite our best attempts to connect them through archaeological remains people in the past will always remain shadowy figures. The bronze figures are grouped into four sets, reflecting the four themes of the gallery itself: a generous land, exploring natural resources; wider horizons, tracing the movement of objects, ideas and people; them and us, exposing the central role of power and status; and in touch with the gods, delving into worlds of belief, superstition and religion. The Paolozzi figures also function as display cases, wearing objects from Scotland’s past, showing people how and where on the body they would have been worn. Paolozzi statue ‘wearing’ the Westness brooch in the Early People gallery. 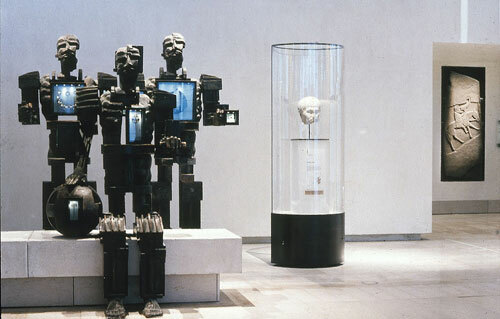 Paolozzi figures representing the theme of ‘Them and us’. The second collection of contemporary art housed in Early People is by the internationally-acclaimed artist Andy Goldsworthy. He kindly accepted our invitation to deliver the inaugural Glenmorangie Annual Lecture, and gave a fascinating talk that held the evening’s audience spell-bound – you can view the hour-long film for yourself here. Goldsworthy’s cracked clay walls, slate structures and whale bone ball are juxtaposed with archaeological objects, some thousands of years old, made from those very same natural resources. 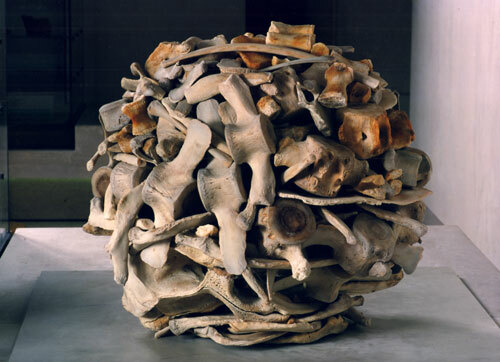 Andy Goldsworthy’s whale bone ball in the Early People gallery. The gallery asks people to challenge the use – now and in the past – of these natural bounties. My favourite of the Goldsworthy pieces within Early People is the slate structure: reminiscent of a round house, it brings to mind the sense of standing inside a domestic space. Slate walls in the Early People gallery, by Andy Goldsworthy. Contained within are objects relating to the finding, processing and consuming of food and drink. A burnt patch in the middle of this part of the gallery invokes the ghost of the hearth, focal point of the home. It seemed a natural step to invite Andy Goldsworthy to deliver the inaugural Glenmorangie Annual Lecture, and to further explore the rich potential for dialogue between art in the past and present. We asked him to explore one of the main research themes of the project’s archaeological research to date – colour. Although colour is an important aspect of his practice – think of the deep warmth of the dried clay walls in Early People – he said that this was the first occasion he had to reflect on it as a discrete topic. 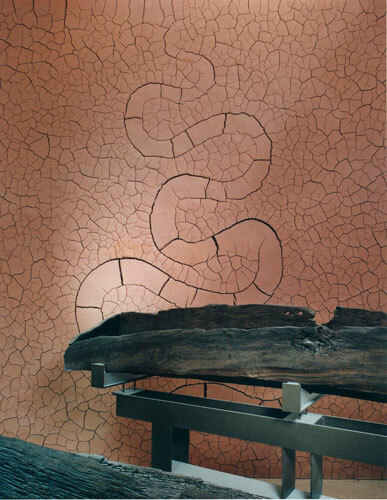 Clay wall in the Early People gallery, by Andy Goldsworthy. 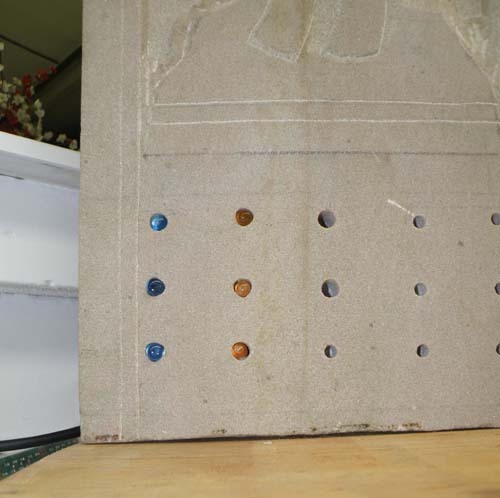 For archaeologists, colour is fundamentally important to understanding the past. However, it is also often fragile, wont to fade, to dull, or to decay away altogether. The naturally-coloured clay walls in Early People bring to mind the richness that could be achieved through natural pigments alone; in the museum environment they are kept fresh and bright and provide a hint of what does not survive from the past. During the Glenmorangie Annual Lecture Andy Goldsworthy spoke eloquently about his temporary works of art: vibrant and fleeting pieces, often created outside to last only as long as the frost on a winter’s day. These pieces in particular brought home the range and use of natural coloured materials – the palette of Autumn leaves for instance. This first Glenmorangie Annual Lecture was a huge success – a sell-out, and a fascinating and intellectually stimulating evening. The incorporation of contemporary art within an archaeology gallery was a deliberate and bold step, and one which I greatly admire. So spread the word to your friends and family – come and explore the contemporary art in Early People for a chance to see some of the Museum’s hidden gems! Look out over for an announcement in the next few months which will reveal the next of the series of speakers, and for a Spotlight talk by myself in September on the latest findings of the Glenmorangie Project’s research. I recently had the pleasure in taking part in a Pecha kucha evening as part of Edinburgh Science Festival, hosted by InSpace at the University of Edinburgh. If you haven’t heard of Pecha kucha before (and I hadn’t before the invitation arrived in my inbox), it’s a format for quick and informal presentations, derived from the Japanese term for the sound of chit-chat. The prospect was a little nerve-wracking: speakers present using twenty slides that are automatically timed to be displayed for just twenty seconds each… you have no control and no room for waffling! But on the night it turned out to be easier than it sounds and all involved had a great evening. Speakers from across the museum gave snapshots of their research, from underwater animals, to airshows, to Iron Age archaeology. What a few weeks it has been! A little bit of everything, but nearly all of it involving silver, in one way or another. I and my colleague Martin Goldberg, Curator of the museum’s Early Historic collections, were invited to Dublin to attend the opening of the National Museum of Ireland’s new ‘Treasury’ display. 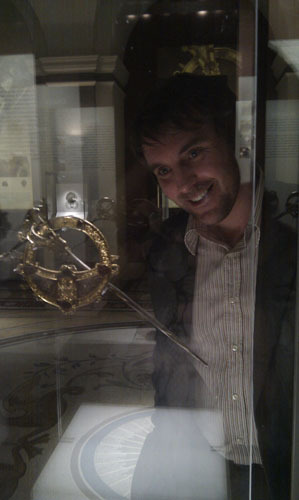 This was a fantastic opportunity for us to see a brand new display of Ireland’s best Early Historic collections. Among the stars are the silver Christian chalices from Ardagh and Derrynaflan. And while we were in Dublin we took the opportunity to visit the Book of Kells – not the first time for either of us, but such a special experience. Curator Martin Goldberg explores the Treasury exhibition at the National Museum of Ireland. 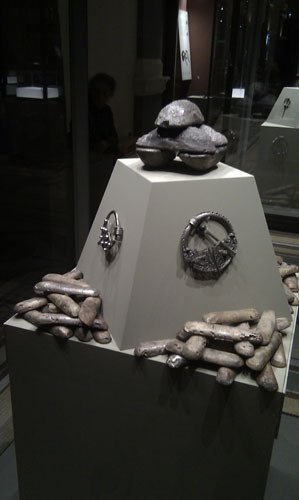 Silver brooches and ingots in the Treasury exhibition at National Museum of Ireland. 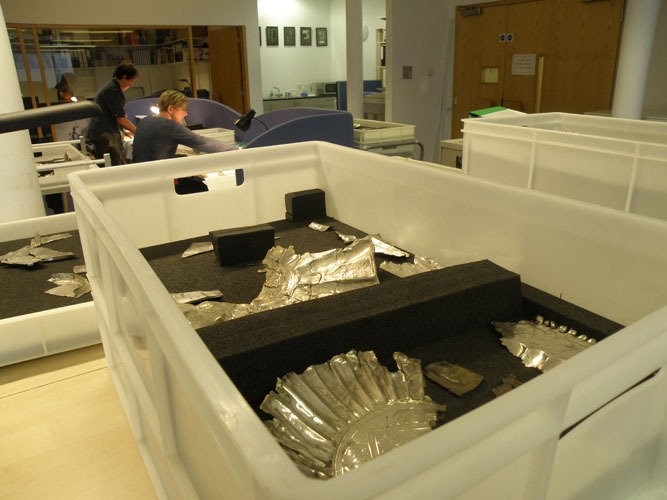 Back in Edinburgh and we spent time with our colleagues in the Museum’s Conservation and Analytical Research department, continuing our research strand on Early Historic Scottish silver artefacts. 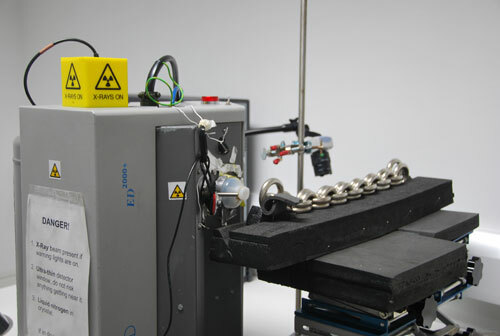 Here you can see one of the massive silver chains being analysed. This piece of equipment can help us examine the composition of the silver, and build up a better understanding of how the use of silver changed over time. 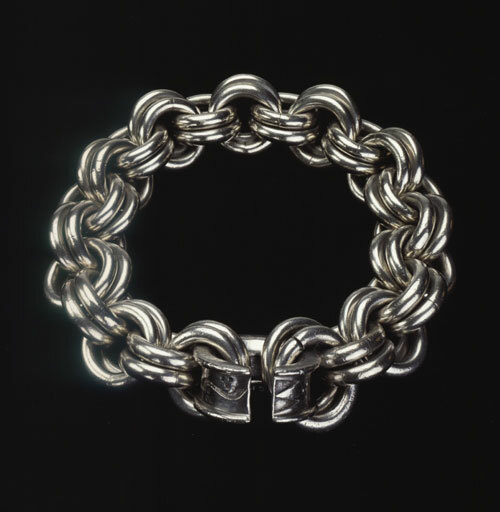 A silver chain is analysed in the Conservation and Analytical Research department. Part of the Traprain Law treasure. Then, somewhat of a surprise, I found myself doing some family history research – looking into the life of the person who, in the early 19thcentury, found one of Scotland’s most important Early Historic discoveries – the hoard of silver from Norrie’s Law in Fife. We’re working hard pulling together fragments of information about this hoard, trying to better understand how it was found, as well as improving our understanding of the objects themselves. Silver from the Norrie's Law hoard. I’ve also had the pleasure of a happy hour talking to silversmiths, colleagues in the museum, and international silver specialists, in order to try to get to the bottom of quite how some our surviving archaeological treasures were made. And next week I’ll be back in the laboratory with more silver objects, using a variety of pieces of equipment to test some of the theories that we came up with. Truly, silver is the new gold! Or, it might have been in the Early Historic period anyway. We’re extremely pleased to announce that National Museums Scotland’s partnership with The Glenmorangie Company, which supports research into a formative period of Scotland’s past, will continue for a further three years. 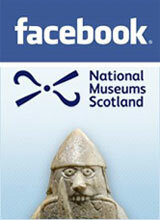 The project is undertaking new research on Scotland during the Early Historic period, roughly AD 300–900. This period comes immediately before the first entity known as ‘Scotland’, and far from being a Dark Age these centuries were a vibrant time in Scotland’s past. In a challenging economic climate, and with many cultural and public institutions facing funding uncertainty, this long-term support is a fantastic boost. 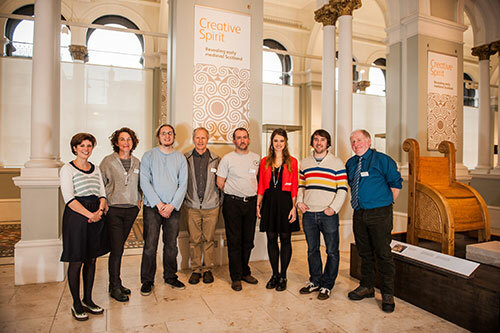 The partnership is regarded as a model for how business can support culture and last year we won a coveted Arts and Business Scotland Award in recognition of our work together. Last week we beat stiff competition to win a prestigious national Hollis Sponsorship Award. 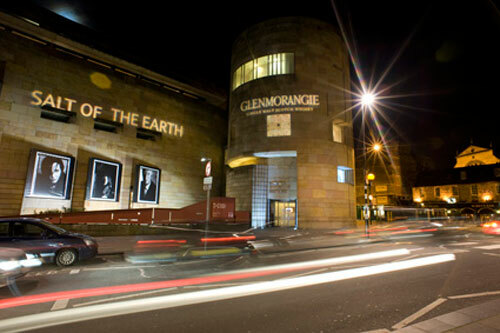 Glenmorangie logo projected onto the museum tower. At the moment we’re busy finishing a major new book on the period, due to be published later this year. Building up to writing this book, we’ve been researching some of the most stunning objects in National Museums’ archaeology collections. 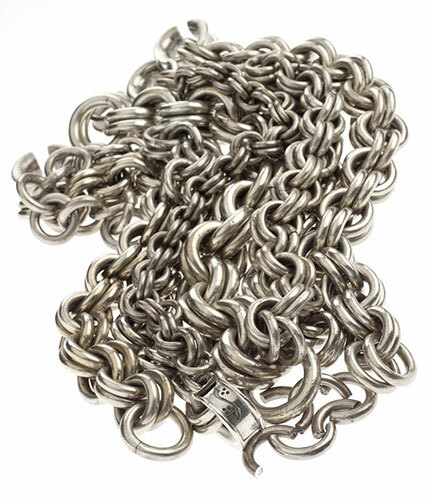 These include the fascinating massive solid silver chains – the one pictured here weighs nearly two kilograms! An important part of the project so far has been commissioning contemporary artists to make ‘recreations’ of Early Historic objects that have not survived the tests of time. 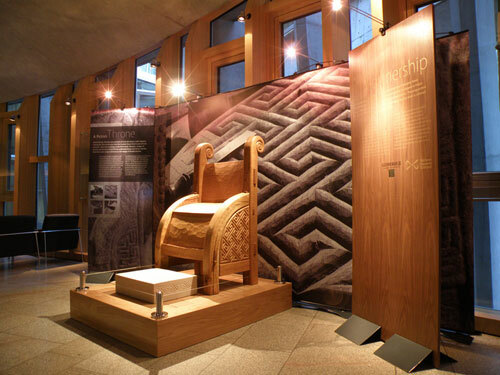 These included our wooden Pictish throne, shown here on display in the Scottish parliament building. The Pictish throne on display at the Scottish Parliament. Over the next three years we’re going to continue this exciting programme of modern recreations, so watch out for future blogs and watch the past come to life at our new web pages. 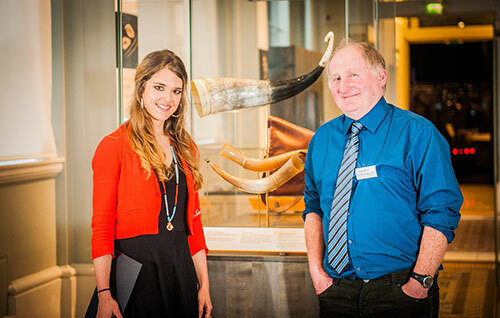 My name is Alice and some people say I have the best job title – I am the Glenmorangie Research Officer at National Museums Scotland. But my job is not to research Glenmorangie or whisky – unless you count what I do in my own time on a Friday night! I’m an archaeologist and I’m part of a small research team working on a project supported by Glenmorangie to gain a better understanding of Early Historic Scotland. This is basically the period after the Romans and before the Vikings arrived – from around AD 300 to 900. 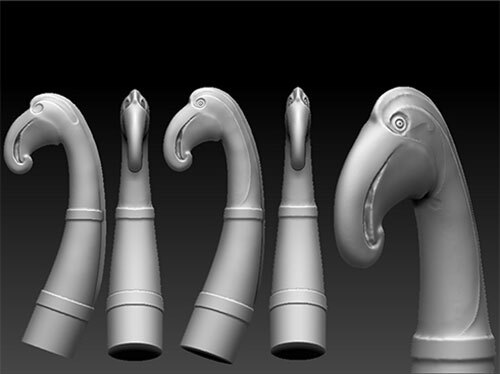 Lots of amazing objects were made at this time and this is part of why I love my job. One day I can be handling a precious silver hoard, the next peeking inside a small Christian relic casket. I get to study beautiful sculpture, exquisite metalwork, and intriguing leather remains. A surprise today was how poignant it felt to be photographing a pair of 1500-year old shoes. 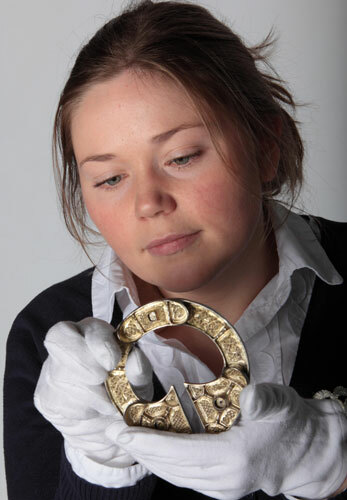 Me looking at a brooch from St Ninian’s Isle, Shetland. Some of the most interesting things I’ve done to date have involved getting to know contemporary artists so that we can tap their knowledge and skills to help understand our archaeology collections better. Through these partnerships we have brought to life objects that no longer survive, and gained often unexpected insights into how things were made and used. 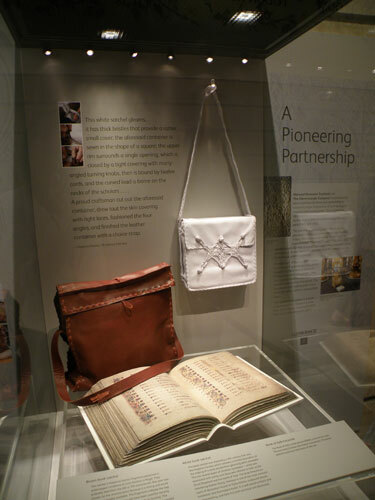 At the moment you can see a pair of reconstructed book satchels – the kind of things monks would have used to carry precious illuminated manuscripts like the Book of Kells across Scotland – these are on display in the National Museum of Scotland, just inside the Tower Entrance. 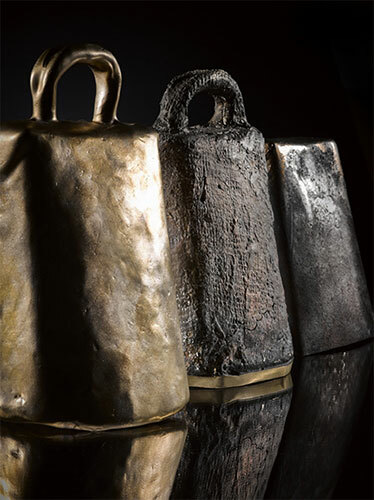 The satchels on display in the National Museum of Scotland. 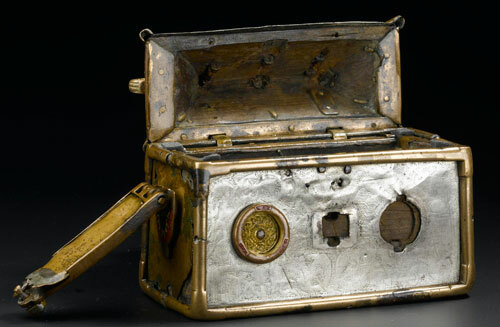 You can find out more about the Monymusk reliquary and St Ninian’s Isle treasure here.